Denzel and Antoine Fuqua have teamed up again, this time to secure their retirements on this farcical sequel. For sure they are not the first team to ride their reputation for a pay-check. Be warned this flick is not “Training Day” worthy of Academy Awards. In fact “Chucky Cheese” would not award this movie. Interestingly, this is the very first sequel Denzel has ever done. In the sequel he reprises the role of Robert McCall the retired C.I.A. 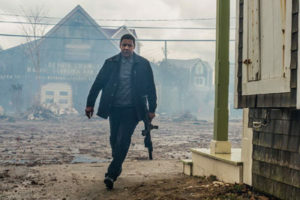 “Black Ops” agent turned vigilante . Mr. Washington, this violent, bombastic flick was worthy of a sequel? This poorly written plot plies Denzel as a new Lyft driver? You go from working for the C.I.A. to Lyft?? “Malcom X”, “Remember the Titans” or “Glory” are not of the caliber of this film. However, should you want an escape from the humidity for 90 minutes of air conditioning, then this could be your respite!